Radio show host, Gary Calligas will have Lois Robinson and Michael Butterman with the Shreveport Symphony Orchestra on his Saturday, September 6th �The Best of Times Radio Hour� at 9:05 AM on News Radio 710 KEEL to discuss the upcoming Master concert series for 2014 to 2015 for the Shreveport Symphony Orchestra. You can also listen to this radio talk show streaming LIVE on the internet atwww.710KEEL.com. For more information, please visit these websites atwww.thebestoftimesnews.com and www.hebertstandc.com. 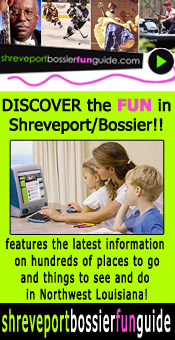 And www.shreveportsymphony.com This radio show is proudly presented by Hebert�s Town and Country of Shreveport featuring � Dodge, Chrysler, Ram, and Jeep vehicles and service.